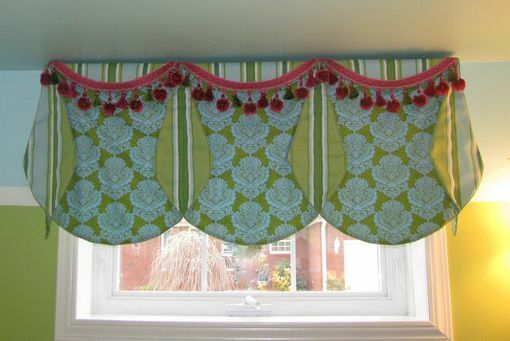 Missy valance in cotton prints, lime green and turquoise, with hot pink and green tassel trim. Board mounted. Dimensions: Dimensions will be determined by size of window and drapery hardware used. Every maker has a story. Be a part of The Well Dressed Window's story by placing an order, leaving a review, and seeing your review appear here.